NASA Earth Observatory image by Jesse Allen, using data from the Land Atmosphere Near real-time Capability for EOS (LANCE). Caption by Kathryn Hansen. In August 2017, polar night loosened its grip on the Antarctic Peninsula and daylight began to illuminate the region. That means scientists are getting their first sunlit looks at the massive iceberg that broke away from the Larsen C ice shelf in July. This natural-color image was captured on September 11, 2017, by the Moderate Resolution Imaging Spectroradiometer (MODIS) on NASA’s Terra satellite. For about a week before this image was acquired, offshore winds pushed sea ice away from the shelf and out to sea. The remaining thin layer of frazil ice (gray mottled streaks on the dark ocean) does not offer much resistance, letting iceberg A-68A and its companions more easily move about the ocean. 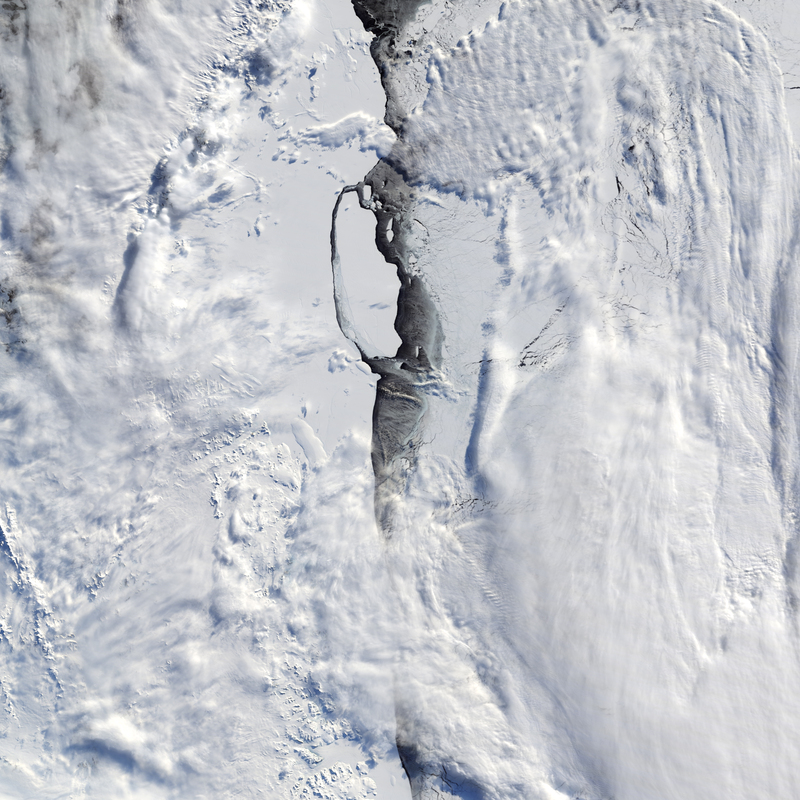 Already, scientists have watched the passage widen between A-68A and the front of the ice shelf, and the smaller bits spread out. 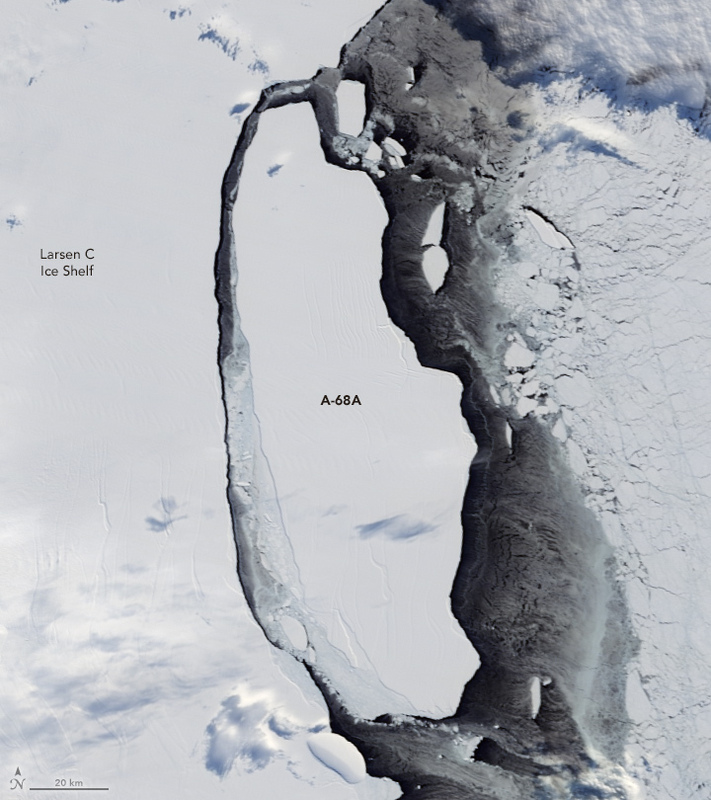 NASA Earth Observatory (2017) Rift and Calving at Larsen Ice Shelf.